Perfect for your everyday gym usage! 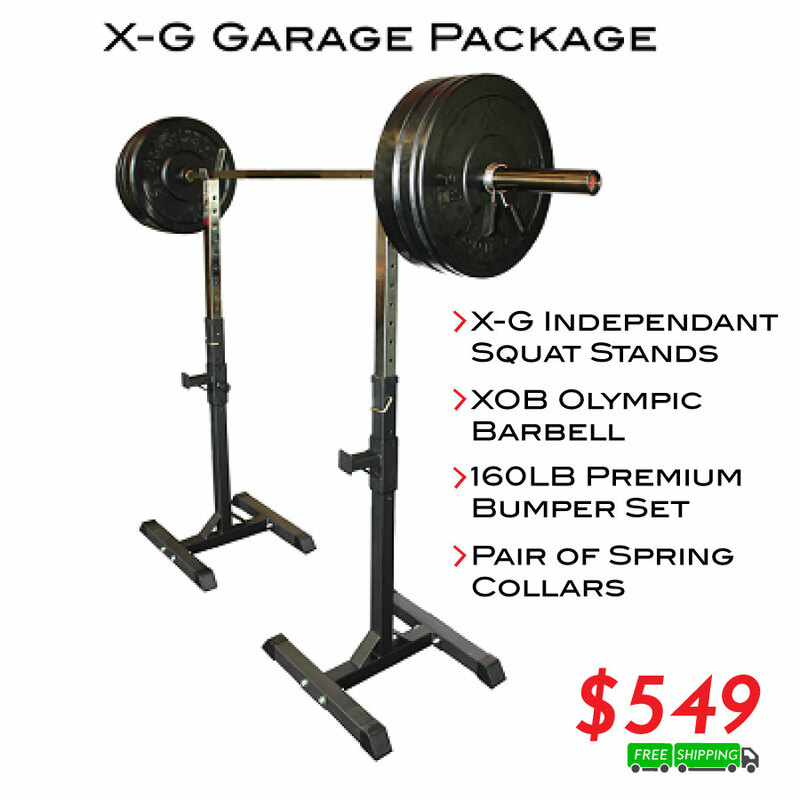 The XOB bar features a 28mm(20kg) or 25mm(15kg) shaft, no center knurling, and oil-impregnated steel bushings for an overall great barbell for beginner to intermediate lifters. It has a Black Chrome shaft with Hard Chrome Sleeves and a medium knurling for a secure grip even in the most intense WODS. I do a lot of research prior to making a purchase. I went ahead and bought this set to add to my home gym and couldn't be more pleased. The bar has good kurling and whip. Overall, satisfied with the bar and plates I've been using them 7 months with no complaints. Can't beat this package for the money, especially with free shipping. Bumpers are as good as Rogue and other higher priced brands. Bar is good for the money. Will be buying more plates for the garage gym soon. Strong and sturdy. They clean up nicely. Did some research and found out a lot of X Training Equip stuff is made in the same shop as Rogue. So to know it’s getting the same kind of attention is encouraging. Another plus, though it’s not cheapest of bumperplates, I feel the price is fair and right in target. I’ll see how they react to the winter months when training out in the cold garage. Plates didn't break themselves or my concrete floor when dropped slightly and the bar feels really good. The bar is great for deadlifts doesn't rip shin skin at all.